Weird thing happened at work today. Someone we don't know came into our music department and said that he worked there twelve years ago, before any of us were there. So we didn't know him. He said that ten years before that (so 22 years ago) someone had gifted a guitar to the school. 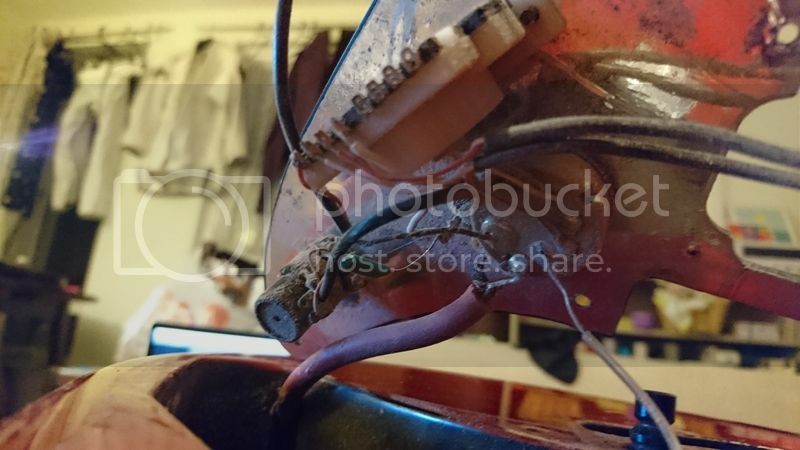 It being a busy secondary, the guitar eventually needed repaired, so he took it home to repair it. 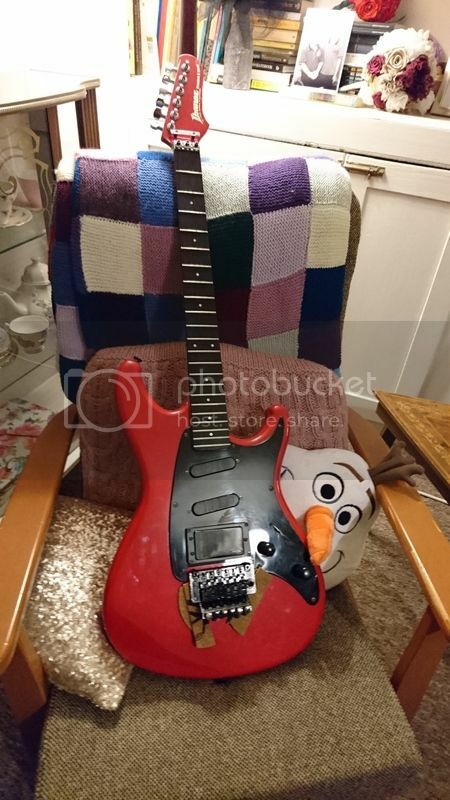 For whatever reason, the guitar didn't get repaired or returned, and just recently he has been clearing out his house and found it. He decided to bring it back to the school and return it. I was a bit excited when I saw the back of the headstock. 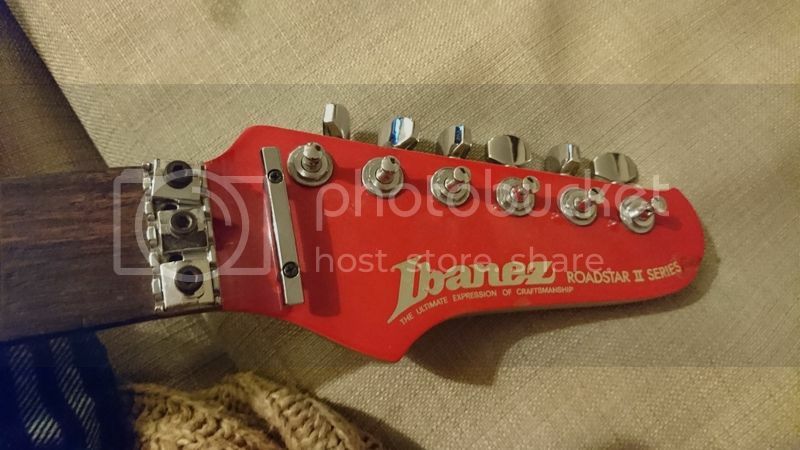 I recognised it as old Ibanez. So I offered to take it home and try to restore it to former glories. Someone had sanded the back off. There's a good bit of material has been removed by doing this, as now the back plates sit about proud of the body. 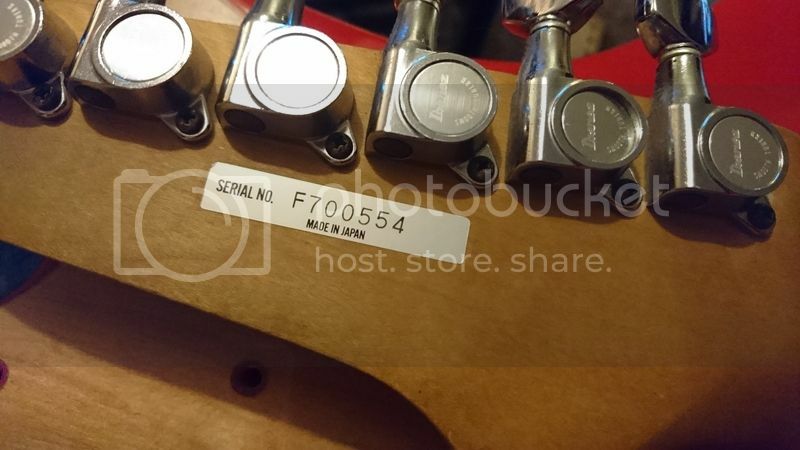 I think this means it's the 554th guitar made at the Fujigen factory in 1987. This guitar is the same age as me! 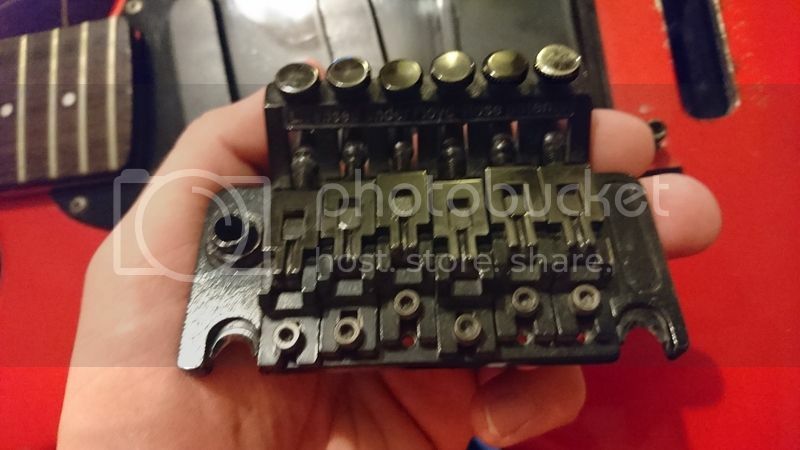 Licensed Floyd Rose. Don't think I've seen one this old. It's been a while since I've taken apart a guitar with a Floyd Rose but this didn't seem as familiar as I was expecting it to. Weird how normally there's that little bit of space on the bass side of the plate where a company name goes, but on this it's blank. The backs of the pickups. 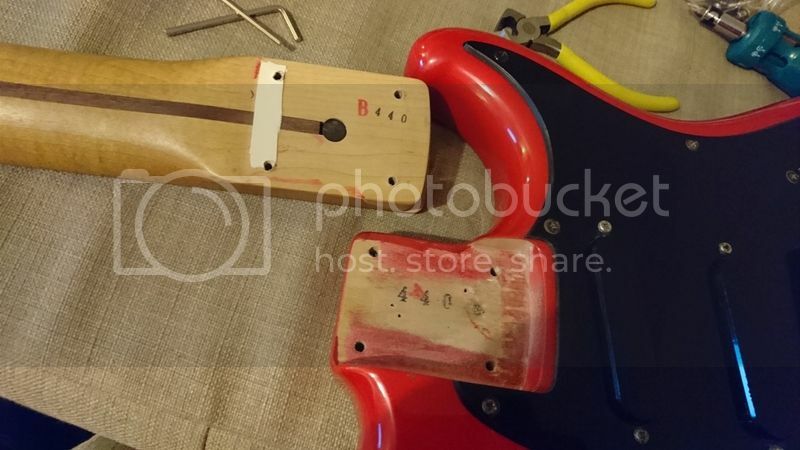 Note the weird mark on the pickguard. Fake cigarette burn? Everything on the inside of the guitar is covered in a sticky pink dust which is presumably the paint and sawdust from where the back was sanded off. I'm starting to doubt that the switch is a coil tap. I'm not great with electronics, but that's not what I'd guess one would look like. And the inside of the batter compartment has... no battery. Put, plenty of sawdust from sanding, which makes me think that the electronics have never been touched. Took the bridge complete apart to clean. Oiled and scrubbed the fingerboard, cleaned everything. Put it all back together and go to restring to realise that the pack of strings I lifted from school has already been robbed for it's high e and b strings. So it'll have to wait till tomorrow. Do the honourable thing and disappear it into your collection... those younguns will just wreck it your be saving it not stealing it. Personally, I'm not a fan of that red on it. I don't know why but I don't like that color at all on that guitar. You did a fantastic job at cleaning it up. I'd say maybe sell it for the students or see how it sounds and go from there. Rob it. And delete this thread. What would it fetch for the school on eBay with the back sanded like that? Makes me wonder what someone was thinking when they did it. Would it be safe in the studio or would it disappear from there anyway? It should be safe in the studio. I'm not sure the school would be allowed to sell it actually, and with the back, it probably wouldn't fetch much. 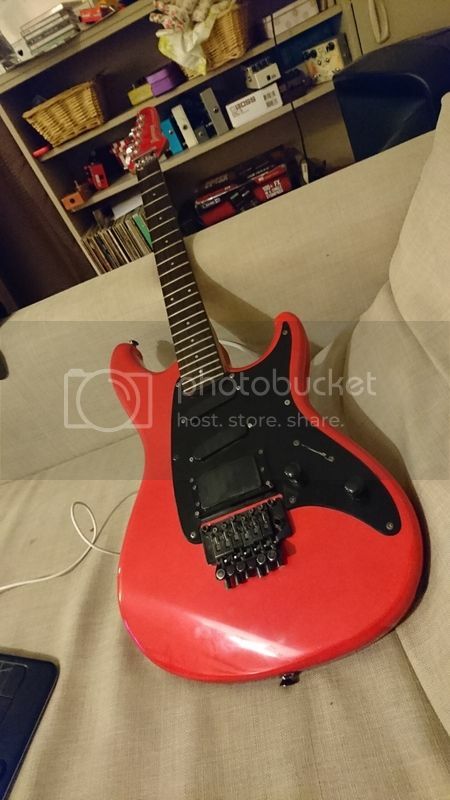 I suppose that although these are good, it's probably a specialised enough guitar that anyone who wants one would want a cleaner one, and it's a cheap enough guitar that anyone interested would be able to afford a cleaner one. Sounds nice though. Had a good play with it today. That bridge isn't original. They did come with them, first year in fact, but not in black. Which would be why the rest of the hardware is chrome. That one looks to be an unbranded licensed model. The oval-shaped indention is where a manufacturer could put their mark, but not Ibanez. It should have a chrome Ibanez Edge (although at that point in time the Edge bridges didn't have a model name on them). 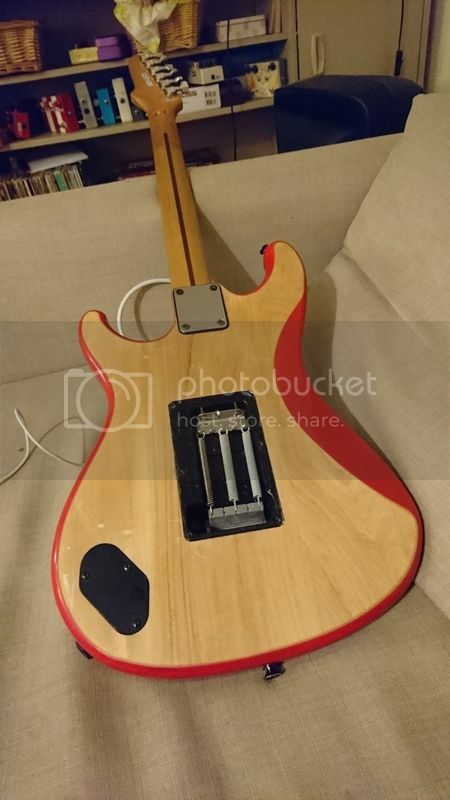 Unique to '86 is the fact that the neck has an oil finish instead of the poly used in previous years. And it's lovely. 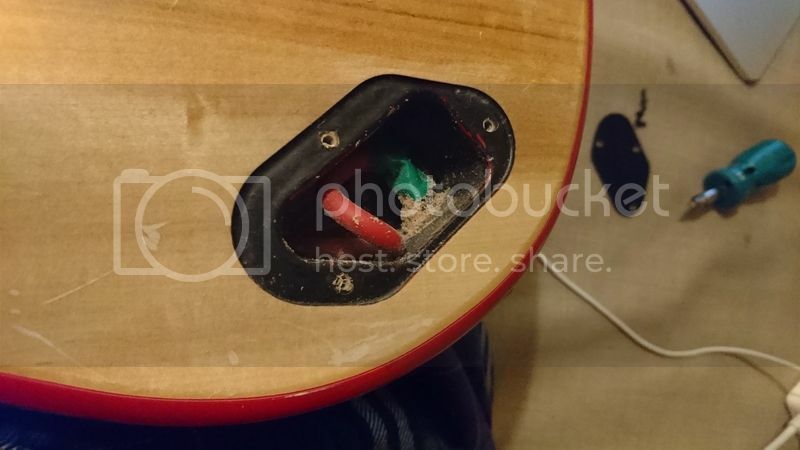 No battery goes in that cover on the back; the pickups aren't active. It's purely to make it easier to install the jack. The switch knob is indeed a coil split (Ibanez called it Duo Sound). The silver/black thing had me confused too. 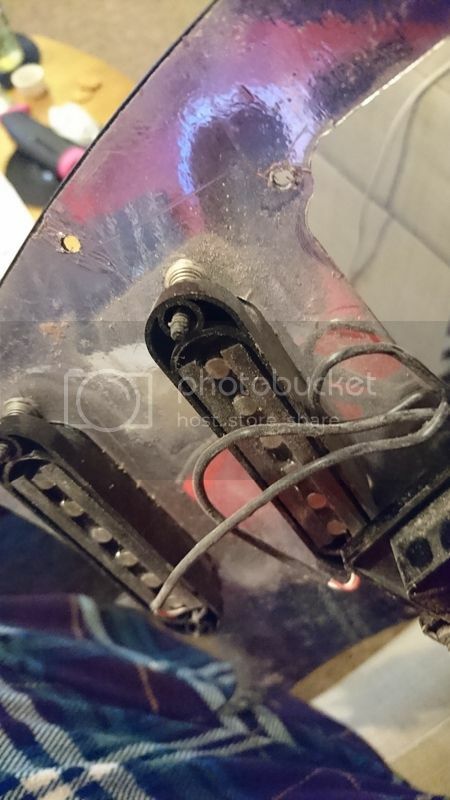 Can't see why someone would make the switch from an Edge to licensed Floyd Rose, though, other than to rob the Edge for something else. 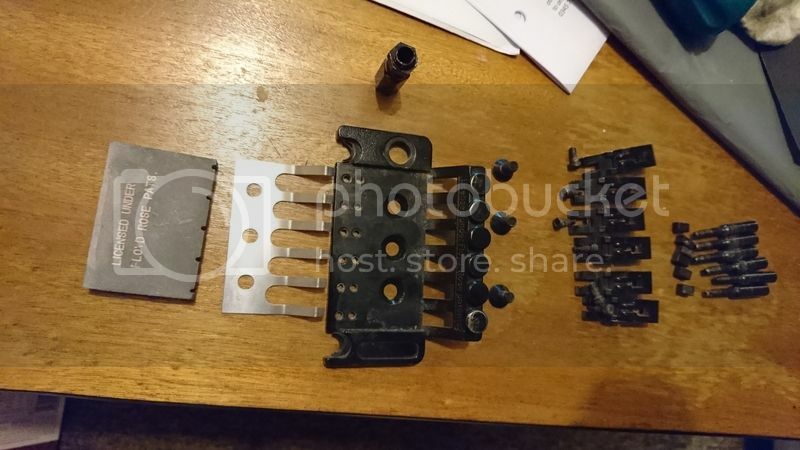 There's a bit of an easter egg to those old Floyd Rose II Style trems like the one you have (I have one on my Jagmaster and another on my Kramer Striker 100ST) - the knife edges are actually removable, at least on all the ones I've worked on. You can remove them and replace them using a pair of pliars to remove. 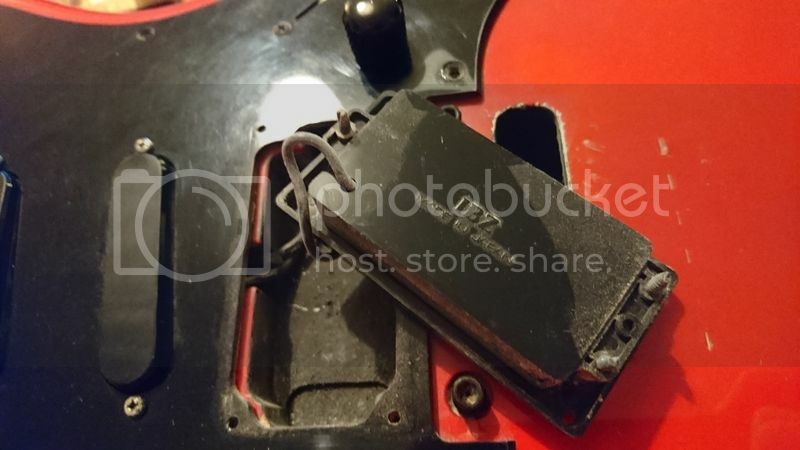 Probably one of the most neglected features about that particular style of Floyd Rose. ^ Thought I'd come back to see that maybe edited out, but here we are. Dezb1 finally discovers the "you know NASA is the Hebrew word for deceit, right?" equivalent of MJF guitar vid comments. Apologies, I'm used to joking like this as my father had the disease as did my grand father on my mother's side so it's kinda a running joke close to home... apparently your 10% more likely to develop it if you have a close relative who has it so I'm not at all sure of my odds.